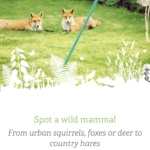 At the start of June, I came across a Facebook post by The Wildlife Trusts about their 30 Days Wild campaign. Intrigued, I clicked in and soon found myself applying for a 30 Days Wild pack. 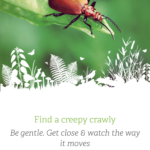 The idea is to take time out of every day to soak up wildlife and take note of wild places wherever you are: whether it be at home, at work or somewhere closer to nature. 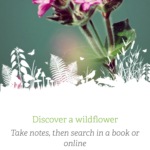 In my pack, I received a wall chart, where I could make notes of the random acts of wildness that I tried, as well as some stickers and a packet of sweet basil and chives seeds to start growing. I also downloaded the free app, where random acts of wildness were suggested at the push of a button! I don’t need to tell my caching readers how much geocachers love a challenge! I’ve discovered that since I started geoocaching, I have a heightened sense of the wild around me, even if it’s simply stopping to admire wildflowers growing in an urban setting en route to a 1/1 cache. 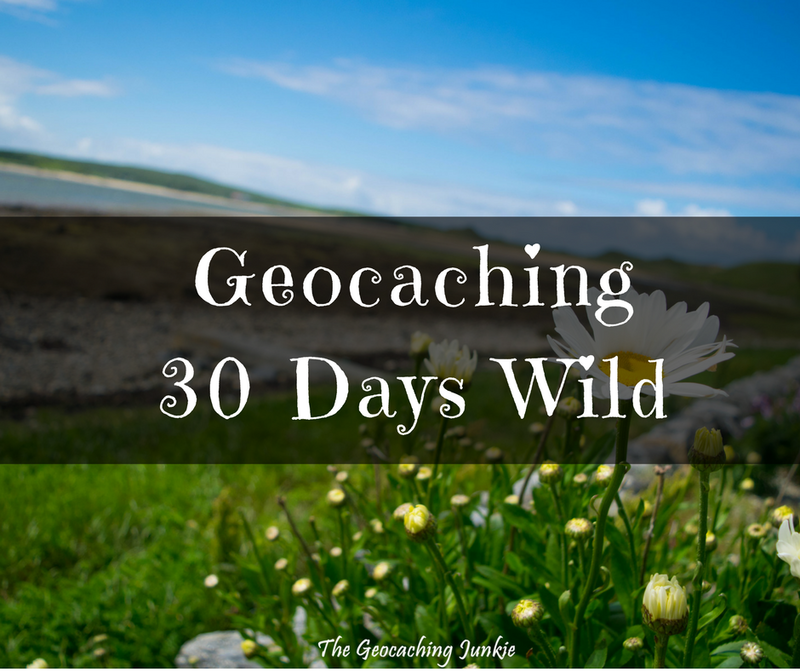 I know more about native flora and fauna than I ever did thanks to caching, and I wanted to know more, so 30 Days Wild seemed perfect! 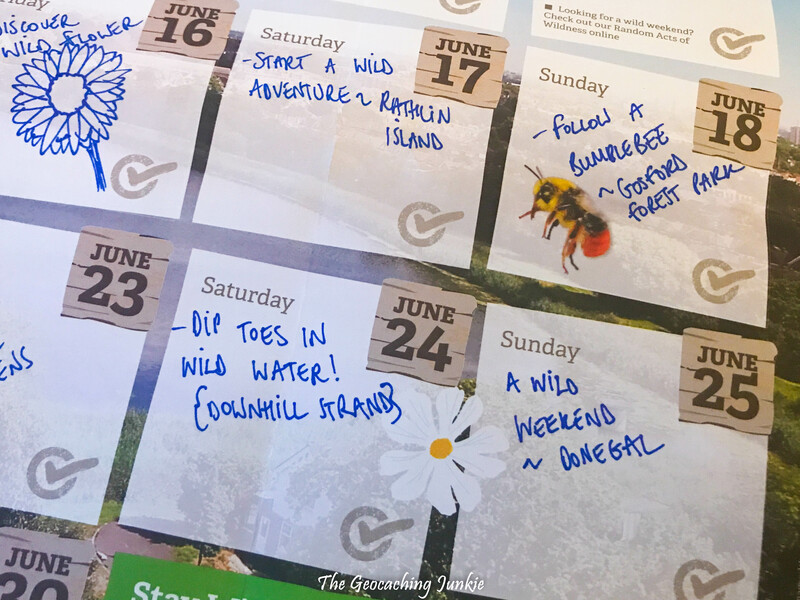 Here are some of the wild things I did in June, many of which would not have happened if it wasn’t for geocaching! I’ll admit that this one just happened: it was more a case of quick thinking, than forward planning. In fact, I didn’t even have a towel with me to dry off my feet after I dipped them in! 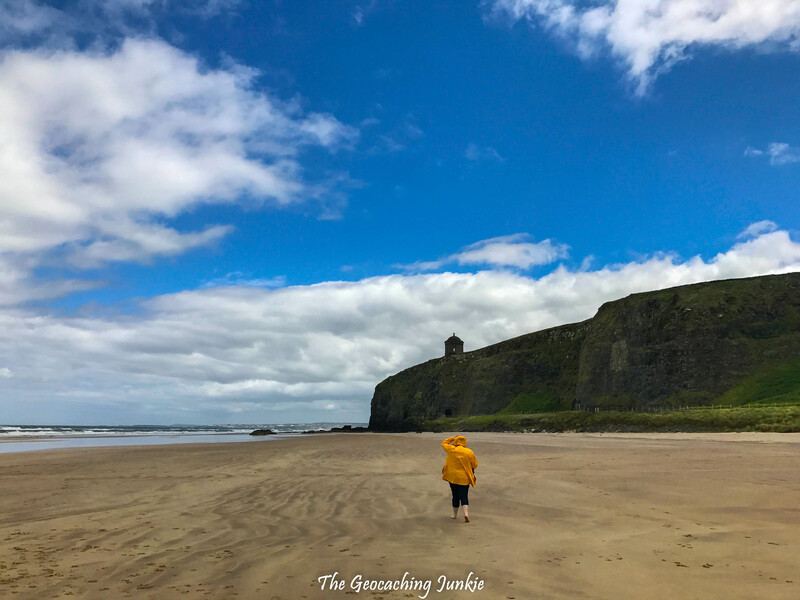 The muggle and I were en route to Donegal and made a detour to Downhill Strand to take in the view of Mussenden Temple. We started walking towards the cliffs and soon came across a stream emptying in to the sea. The muggle, being significantly taller than I am, easily did a run-up and jump across, but for me, there was only one way: shoes and socks off! 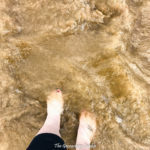 I forgot how fun it is to dip my toes in wild water – I was transported back to childhood memories of ‘paddling’ in the freezing Irish Sea! This was undoubtedly one of my favourite wild acts of the month. 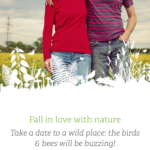 Thanks to geocaching, this is something the muggle and I do regularly – go on a wild date. No, not that kind of wild. This is not that type of blog. Ahem. 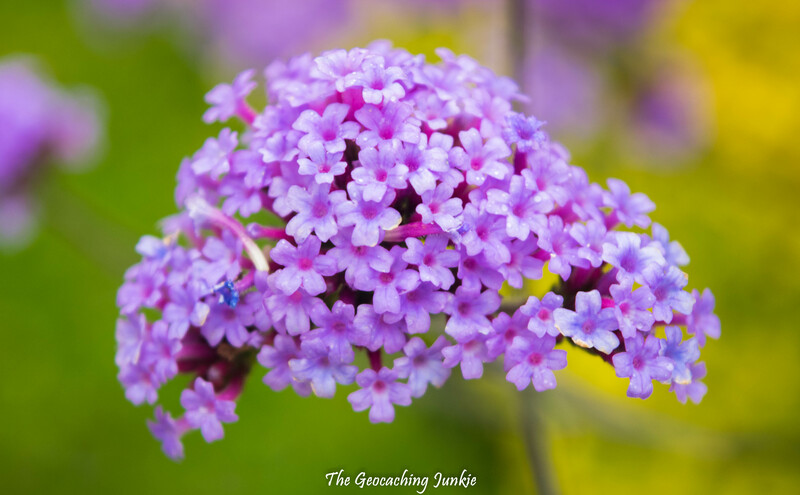 Geocaching often means a walk in the woods or a hike up a hill, and June was no different! 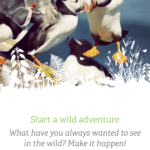 When I spotted this act of wildness on the app, I realised we already had the perfect wild adventure lined up: a trip to Rathlin Island to spot some puffins! As it happened, we only saw the puffins from a distance, but it was still a fantastic adventure, shared with geocaching friends. 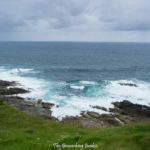 There is something wild about every island off the coast of Ireland, inhabited or not, and they have always intrigued me. Thanks to geocaching, I have seen more islands in the last few years than ever before. Some creepy crawlies I can tolerate; spiders I hate, so an eight-legged freak is not the type of creepy crawly I was looking to find in June. 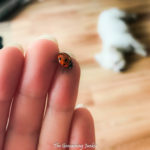 What I did find was probably one of the prettiest insects: a ladybird (ladybug to my North American friends!). 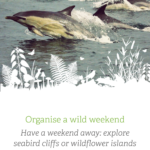 A trip to County Donegal, on Ireland’s Wild Atlantic Way, certainly ticked the ‘wild weekend’ box! 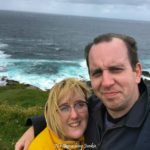 We spent just one two days on the Inishowen Peninsula, and visited Malin Head, Ireland’s most northerly point. 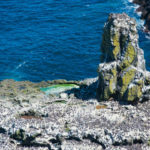 It doesn’t get much wilder than Donegal, with the untamed Atlantic lashing relentlessly against the rugged coast line. Many a geocaching day out has been slowed down by my incessant stopping to photograph wildflowers along the route. 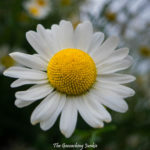 My favourite is the ox-eye daisy – so simple but so perfect. 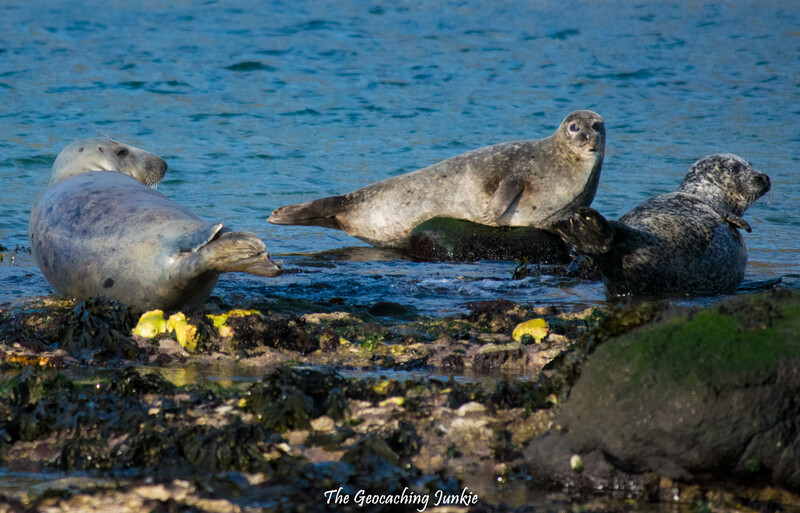 As well as bird watching, our Rathlin Island adventure included some seal spotting! Yes, they may resemble giant slugs from afar but they are far cuter, to be fair. Just look at the little face!! 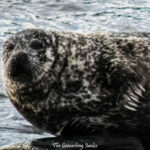 Common and grey seals are the two species native to Ireland and both can be found lounging around the shores of Rathlin. 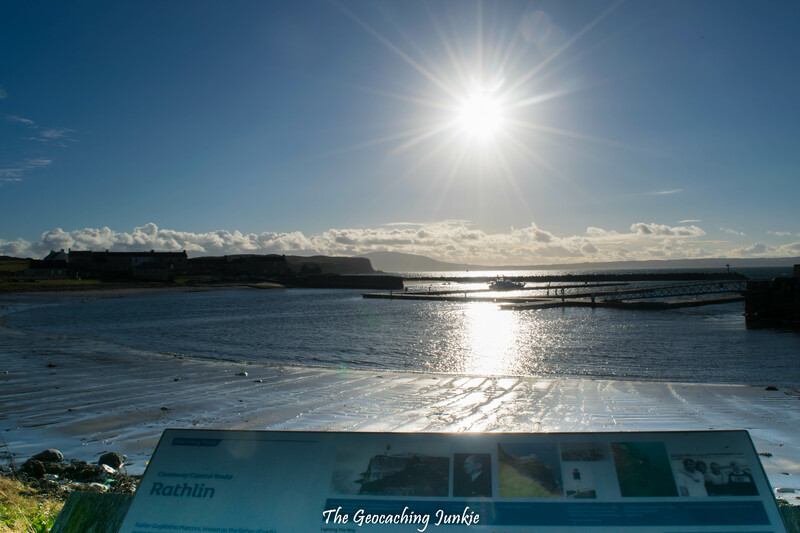 What wild adventures do you go on thanks to geocaching? Let me know in the comments! Sarah, I love your blog. I was on a tour of Ireland last September and stopped for the night at the Powerscourt Hotel which, I’ve later learned, is quite near where you live. I’d have loved to meet you! Missed chances! 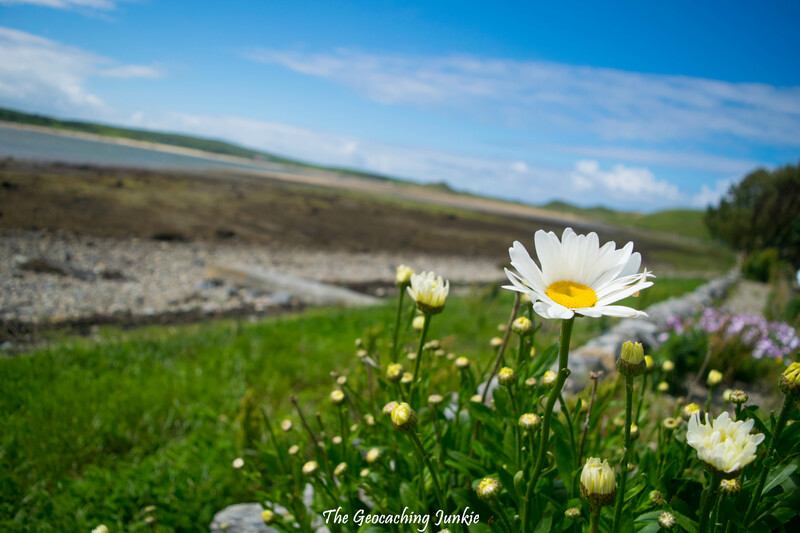 But keep blogging – it makes me wish to return to the 40 shades of green! Well I have since moved to Northern Ireland but my mother lives near there so County Wicklow will always be home 🙂 Sorry to have missed you and thank you for reading! What a brilliant idea. Wish I’d seen it but maybe I could do my own Wild Adventure in August. Great blog.